Please contact reservations at 212.986.0300 for more information. All of the comforts of home combined with exceptional service and dining. Your overnight stay includes complimentary wifi, buffet breakfast in the Cayuga Dining Room, coffee and tea service in the lobby (7:00am-4:00pm), and access to the Health & Fitness Center. 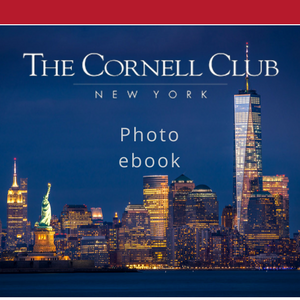 The Cornell Club-New York is a luxury facility with full service accommodations in a convenient midtown Manhattan location. Offering an intimate, personal, and welcoming setting, it is truly unlike a standard hotel. A Guest Service Agent at the Front Desk will be happy to accept faxes and phone messages for Members and their guests. Named for Cornell University's first President, this room is a restful sanctum for both work and relaxation. Newspapers, magazines, and business periodicals are available. Books of fiction, non-fiction, reference, Cornelliana, and our affiliate schools are stocked on the shelves. Writing tables and overstuffed leather armchairs complement the tranquil setting. Babysitting services are available for in-house guests, daytime or evening, upon request. Contact the Front Desk at frontdesk@cornellclubnyc.com or 212.986.0300. The Club recommends HTP of New York, Inc. (212.501.7400) for car services. Transportation to/from area airports can be arranged in advance with a Guest Service Agent at the Front Desk. Contact the Front Desk at frontdesk@cornellclubnyc.com or 212.986.0300. The Club has a relationship with Quik Parking, located at 118 West 44th Street between 6th and 7th Avenues. They offer our Members the price of $35 for 24-hour self-parking and $45 for 24-hour valet parking. Call 212.986.0300 with questions. Visitors may obtain laundry services by contacting the Front Desk. Same-day service, irons and ironing boards are available. Call the Front Desk to make arrangements. Cornell University gear ranging from T-shirts and hats, to umbrellas and coffee mugs are available for purchase at The Front Desk. Seasonal club apparel is available in the Health & Fitness Center. A selection of active and outerwear with The Cornell Club-New York logo is available. For the largest selection of Cornell attire, contact the Cornell University Bookstore.